The Radio Ballet by LIGNA was one of the first works i published here. I'm sharing this honest work of art at karagarga for the first time and thought it deserved a repost. The “Radio Ballet” is an excellent example of the latter: it is a radio play produced for the collective reception in certain public places. It gives the dispersed radio listeners the opportunity, to subvert the regulations of the space. 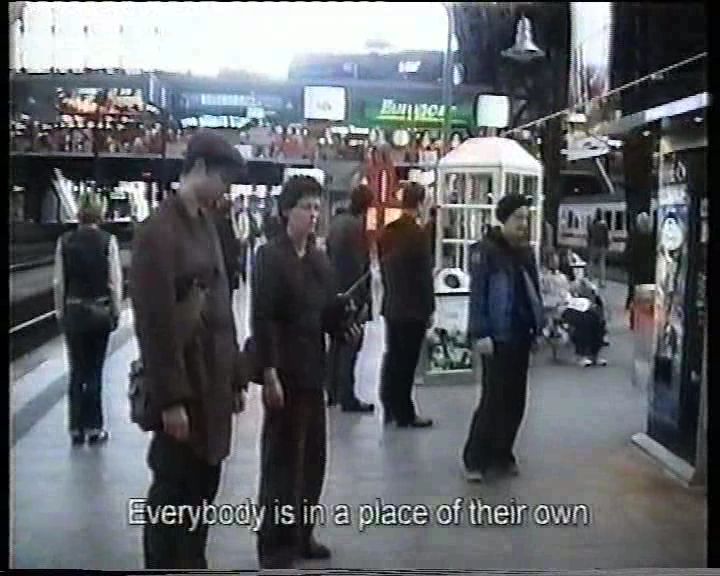 Held for the first time in Hamburg’s Central Station in 2002, this focused on how radio can intervene in public and controlled spaces, so that its public nature reappears in the form of uncontrollable situations. 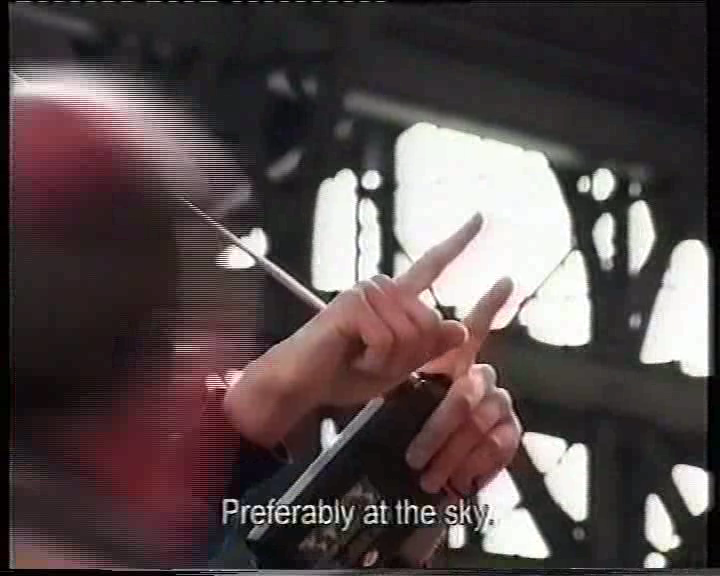 Yet, Ligna's performances aim to confront the privatised, controlled production of capitalism with the dispersed, yet collective, uncanny and public production of the radio. The Radio Ballet brought back excluded gestures of deviant behavior were invited to enter the station, equipped with cheap, portable radios and earphones. By means of these devices they could listen to a radio program consisting of a choreography suggesting permitted and forbidden gestures (to beg, to sit or lie down on the floor etc.). These suggestions were interrupted by reflections on the public space and on the Radio ballet itself. The radio broadcast will suggest ten different exercises to get the city out of your body. The dispersed collective of radio listeners will be able to perform deviant gestures that no one would or could do alone. 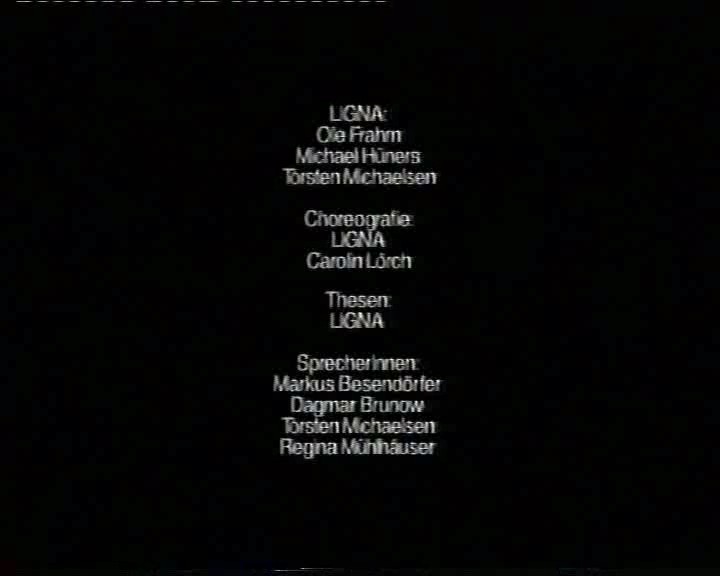 LIGNA is a group consisting of three people – Torsten Michaelsen, Michael Hüners and Ole Frahm. We’ve worked together since 1996. Is this the first project of this genre you’ve done? 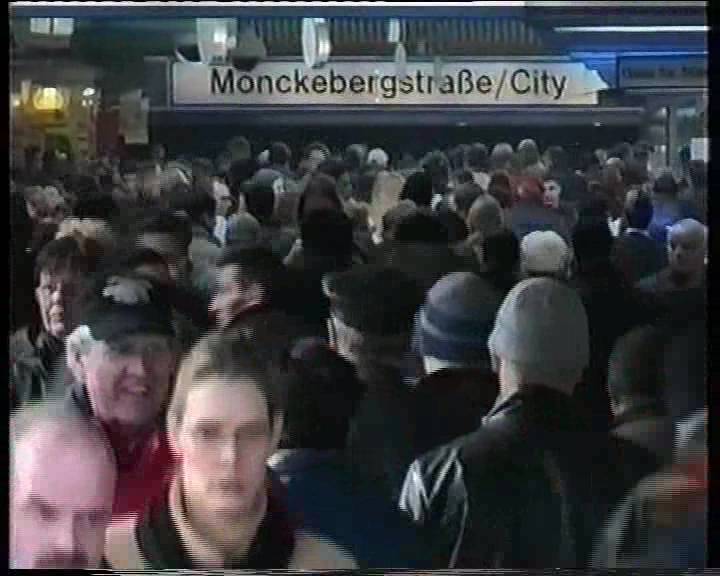 The first radioballett took place in the Hamburg main train station in May 2002. We asked listeners of our local non-commercial radio station FSK to come to the train station with pocket radio receivers and small headphones and to bring back excluded gestures by following the choreography broadcast over the radio. In December 2002 we organized a similar project called “Invitation to Public Radio Reception”. We asked listeners to come into Hamburg’s center city with their their radios (this time without headphones), turn them up as loud as possible and disperse amongst the Christmas bustle. At that time, there were quite a lot of demonstrations going on in Hamburg against the eviction of a trailer encampment in November 2002 and against the politics of the local right-wing government in general. Demonstrations weren’t allowed to go through the inner city; officials feared that they could disturb the Christmas shopping. So we decided to bring a dispersed demonstration into the city. It worked quite well; even though our program was not able to drown the whole city, it was enough to change the place: you could meet grinning people everywhere with antennas coming out of their jackets. It was impossible to go shopping that Saturday afternoon without realizing that something strange was going on. So the radioballett in Leipzig already had it predecessors. 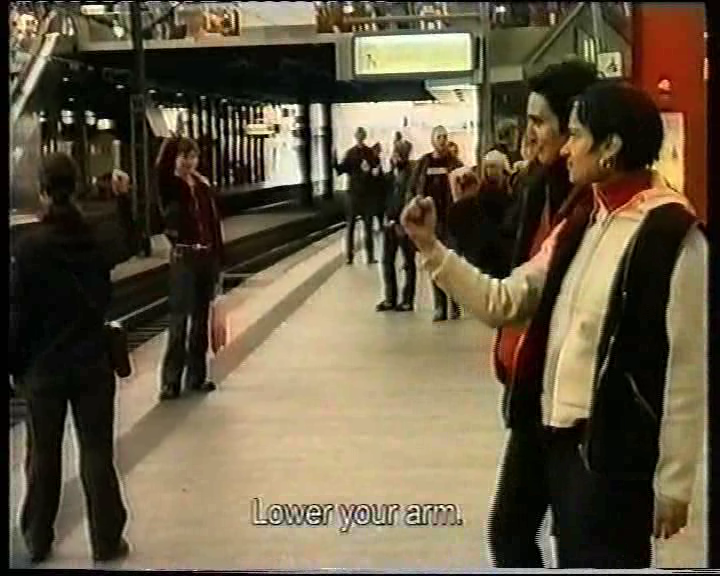 It was not simply a copy of the radioballett in Hamburg, although it also took place in a train station. We put in quite a lot of more gestures, like lying down, lighting cigarettes, running around etc. 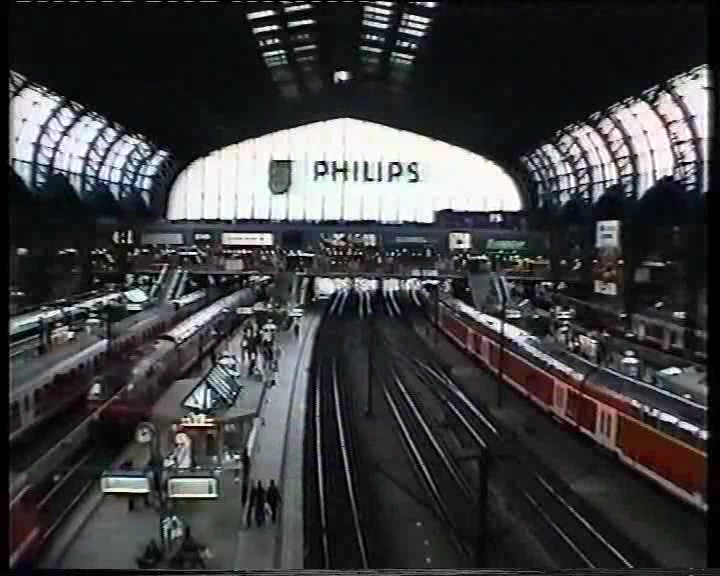 Although both stations, in Hamburg and in Leipzig, are models of the privatization of public spheres, they have a different character: the Hamburg station was renovated in the early nineties and then partly turned into a shopping center. Leipzig followed in the mid-nineties: the shopping mall is much bigger, everything is much cleaner and the whole regime of control is barely visible. How did you develop the ideas for this project? We started with a radio show called "LIGNAS Music Box", a regular two-hour program on FSK. This show is still on the air. Every second Saturday afternoon, we invite the audience to phone in songs matching the changing subjects of the show. As well, we developed several live radio shows that, in one way or another, dealt with obscure and forgotten media practices. What all these activities had in common were their attempts to explore the possibilities specific to radio. We realized that the left-wing radio movement is not really interested in the medium; that it used radio in one of two ways. Either they used radio simply to convey messages, tell their audience about the evil outside and summon them to do something against it beyond the program. Or they believed, referring in a simplified way to Bertolt Brecht, that the revolutionary usage of radio was to change it from a means of distribution to a means of communication. This follows the belief that utopian radio is some kind of "open mike” creating a space where everyone can call in any time and say what he or she wants to say. We found out that another much simpler aspect of radio was always neglected and even renounced in reflections on free radio: the distribution of a voice to many radio apparatuses; the fact that radio always creates an abstract constellation of listeners. This means that radio reception in any situation where the radio is switched on means an intervention: it brings in the abstract constellation of others. Our regular call-in radio show tries to make this constellation audible. What we were still looking for was a way to turn this constellation into an association of people. That is, a collective that can change a situation. The radioballett was an attempt to do exactly that. So the idea was for a very long time very abstract. We knew that radio offered the possibility of an intervention like the ballett, but it took a lot of time to work it out. It wouldn’t have been possible without discussions with many activist groups dealing with privatization and control of public space. In the last years many of them have tried to exceed the regime of control by exaggeration: for example, by going into the main station and acting like security guards themselves, urging people to do silly things “for their own safety”. What they wanted to achieve was an awareness of the repressive practices that have become a part of everyday life. What many of them found was that for many people everything they were urged to do was completely all right, as long as it was good for their safety and usually turned against those who earned it. These experiences made it clear to us that you can only do something against the regime of control if it is hostile to this regime. What is the political drive behind the radioballet? Our aim was to develop a collective practice that could intervene in a place increasingly under control of video surveillance, safety guards, police, etc. This space is also home to architectural means of control: benches turned into seats, so lying down is impossible, rooms kept bright and orderly so that dark spaces no longer exist. This regime of control is responsible for driving more and more people and all kinds of “deviant” behavior out of the place. The radioballett did not protest these practices of control in the usual way, such as organizing a demonstration to tell the public that privatization of public space is wrong. We wanted to find a way to bring back what the regime of control fears most: the invasion of gestures of deviant behavior - holding up your hand for begging, sitting down where it’s not allowed and things like that - in an amount that supercedes control. For us, radio is the ideal means of achieving that: it can be received nearly everywhere and very easily. The dispersion of radio allows a mass to act collectively without gathering as an assembly. 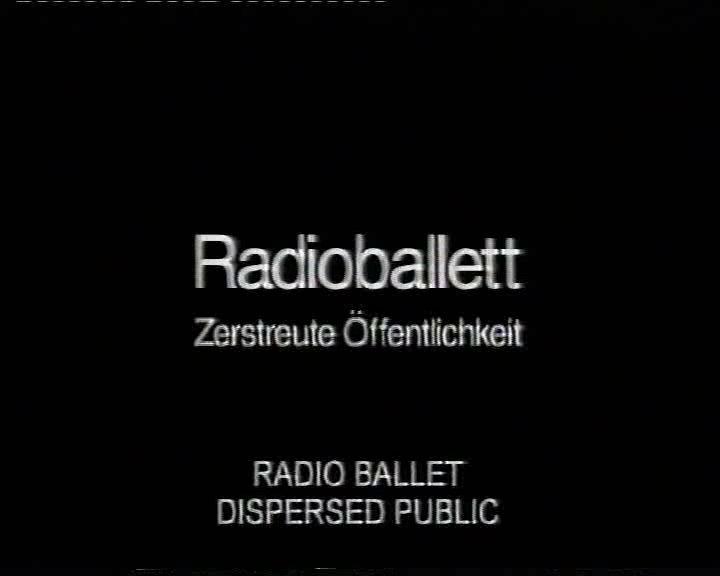 So instead of simply conveying protest as content, the radioballett tried to perform the protest: it used radio to let the uncanny and unexpected invade a place where usually nothing unexpected is happening. Because if something unusual approaches, it is instantly driven out. What was the intended impact of the radioballet? The first priority of the radioballett is not to change the consciousness of people. It wants to change the space in which it is performed. It wants to haunt this space with gestures that are normally excluded. 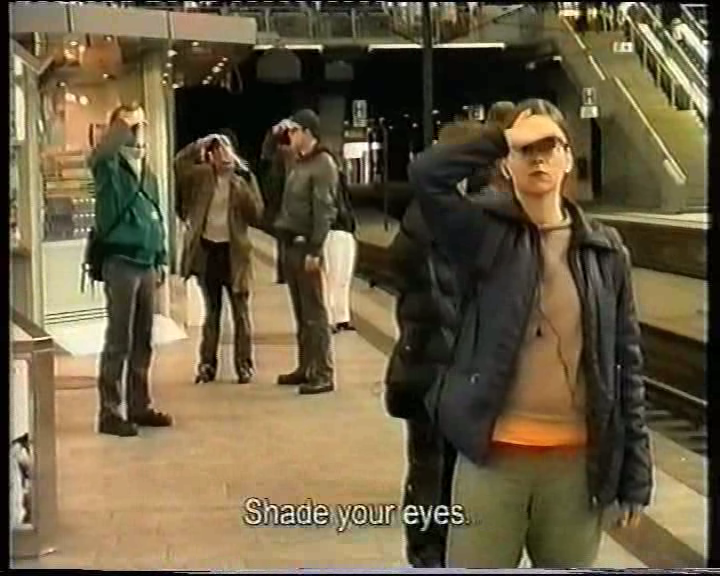 It wants to demonstrate that the normality of a space like the main station is based on exclusions that are distinctly invisible, until made visible. We called the radioballett in Leipzig “Übung in nichtbestimmungsgemäßem Verweilen”, which means something like: excercise in unsuitable staying. For us it is important that this is an exercise. Places like the main station and every other place that is under control have become spaces where you constantly practice being under control. In these places it has become normal not to sit where you want to, because you know that soon the guards will come and disturb you. You know that you can only smoke in the areas reserved for smoking, unless you want to pay a fine. The radioballett wants to be a counter-exercise: a way for people to learn that other practices in these places are still possible, if you have the right backdrop for it. During the time the ballett was performed, the restrictive normality of the main station was suspended. Was there any particular significance to the hand motions everyone was doing (waving, tying shoes)? 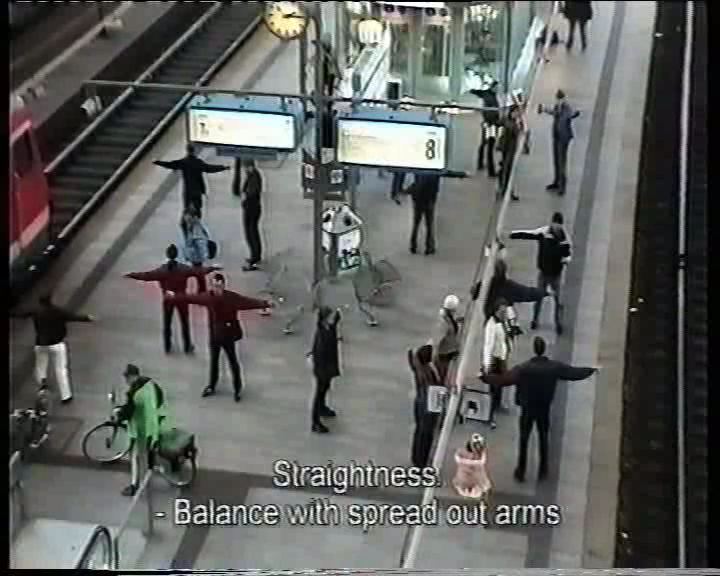 The radioballett in Leipzig consisted of three stages: the first one displayed gestures that are still normal and allowed: like giving someone your hand and so on. The second stage examined the limbo between permitted and forbidden gestures: for example turning the hand from vertical to horizontal for begging. The third stage consisted of forbidden gestures and activities, like starting to smoke. Untying and taking off your shoes or lying down are also some of the activities that quite easily get you thrown out of the building, at least when people demonstrate that they don’t want to get up immediately. 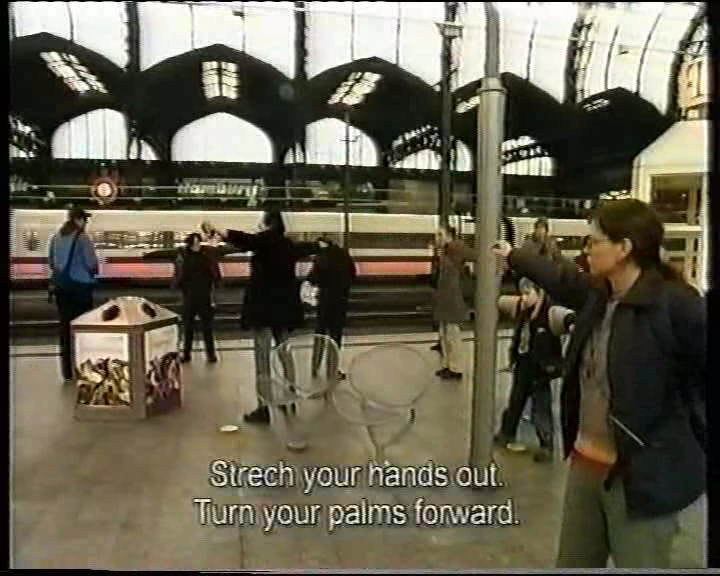 Waving is certainly one of the gestures very typical and normal in a place like a train station. But it can get suspicious if you repeatedly wave to the same person, so that it looks like you’re sending secret signs or hints. Share the Radio Ballet via karagarga.